Park Hyatt New York – New York, N.Y. The Cloister – Sea Island, Ga. The Ritz-Carlton, Dove Mountain – Marana, Ariz.
Congratulations to the new award-winning hotels! 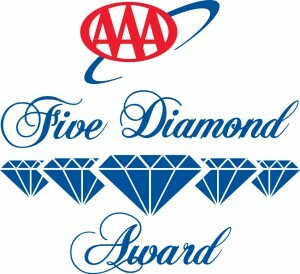 For a full list of 5 Diamond award winners, click here. This entry was posted in News & Notes and tagged AAA, AAA Five Diamond, aaa five diamond hotels by TrueGuest. Bookmark the permalink.